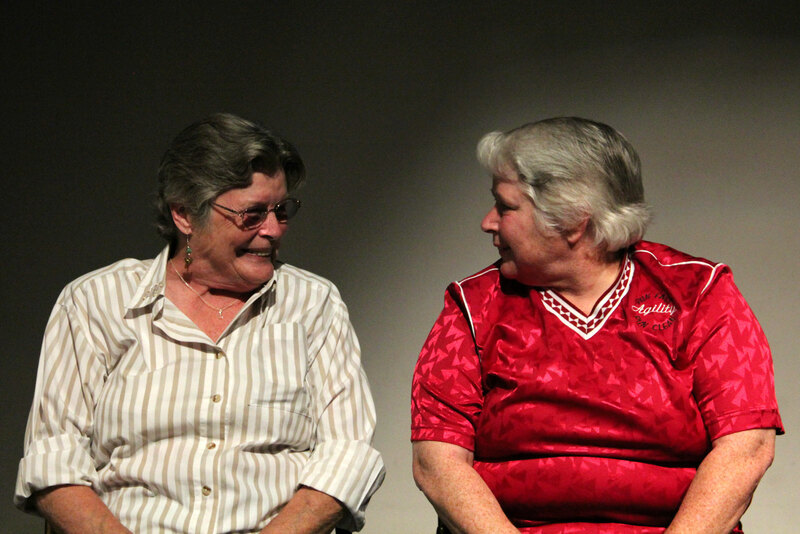 Billy Tinsley, right, and Peni Bethel were both charged with homosexuality during their military careers. “The military may have overturned ‘Don’t Ask, Don’t Tell,’ but they still need to address the issues of those who are transgender,” said Tinsley. The Mission Cultural Center hosted the San Francisco Veterans Film Festival on Saturday to honor women in the military and to raise awareness about veterans’ issues.